The health care world is constantly changing; and in South Jersey, it’s one of the fastest growing industries as local providers seek to stay on the cutting edge of the field. That means local doctors have to stay ahead of the curve so they don’t get left behind. That’s good news for South Jerseyans, who regularly seek out the best medical care they can find. 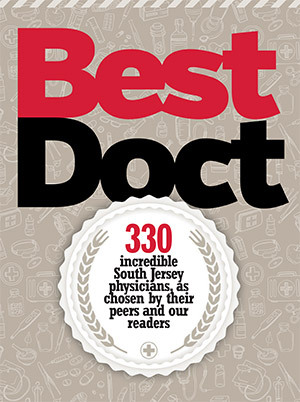 In order to make the search a bit easier, we’ve partnered with the global health solutions company Best Doctors, Inc. for our annual list of the medical professionals who are making a difference. In addition, more than 8,200 votes were cast online by our readers’ poll. 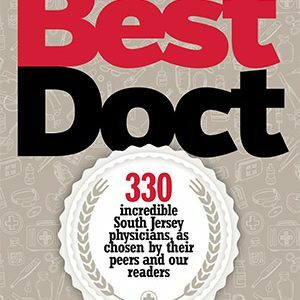 All of which results in our list of 330 incredible physicians that make our health their top priority.